With Hurricane Sandy already bringing flooding, high winds, and general chaos to a wide swath of the East Coast, airlines have begun to cancel flights at dozens of major airports. Additionally, many of those hubs have been closed due to unsafe conditions. All of this, of course, adds up to thousands of stranded travelers who are frustrated, angry, and unsure of what to do. Thankfully, airlines are waiving change fees and doing their best to assist those who need to make new plans on the fly (no pun intended). If you have travel plans over the new few days that involve areas that will be (or are currently being) affected by the storm, here are a few things that you should do to avoid making things even harder for yourself. Whether your trip is for business or pleasure, odds are that it can wait until this weather passes. Don't try to force yourself into an unsafe situation unnecessarily. There's no need to rent a car so that you can drive into the storm because your flight was cancelled. There's always tomorrow, or next week, or just a conference call that can replace the trip that you had expected to take. You may have already received a call, text, or email from your airline with news about your flight. Go ahead and give them a call to check the status of your flight and go over your options for making new plans. Carriers such as American and Delta have already announced that they are waiving change fees for travel to many states in the path of the storm, so even if your flight hasn't been cancelled, you can still make alternate arrangements, if needed. 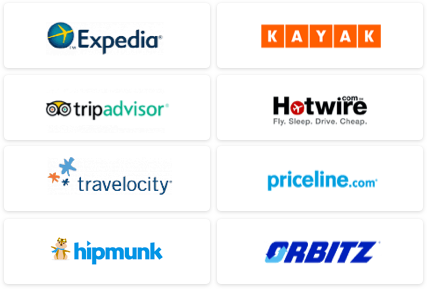 Each airline has its own policies, so its best to speak with your carrier directly. Whatever you plan to do, do it sooner rather than later. With each passing hour, airlines will be inundated with more people looking to change their plans. Stay ahead of those lines – and give yourself more options – by acting quickly. 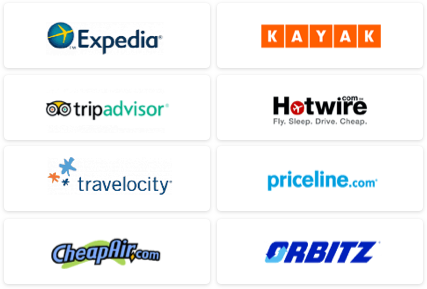 The same goes for sites like Orbitz or Expedia. If you booked through such a site, their customer service representatives should be able to assist you. Many hotel chains are already reporting a flurry of activity. Most properties will allow you to cancel or make changes with no fees. Be sure to ask the hotel agent whether the property is in a flood zone, if they have generators, and what contingency plans exist should they lose power. If your flight home has been cancelled, check with your hotel immediately to see if you can extend your stay. Some hotels are offering discounts to travelers stuck on the East Coast. Kimpton Hotels, for example, are offering 20% off properties in New York and Boston. Airlines are not required to provide accommodations when flights are cancelled, so be sure to make your own arrangements. This isn't a passing thunderstorm or brief power outage. Sandy is a massive weather system that hasn't even delivered the worst of its fury yet. Reports are that it will intensify and that New York City will see even higher winds and more flooding later on today. Simply booking a new flight for tomorrow might not be a suitable solution, as there will surely be more cancellations as the storm continues to play out.